The row between agitating students of Film and Television Institute of India (FTII) and the government of India over removal of TV actor Gajendra Chauhan as Chairman of the institute has thickened as after noted filmmaker Jahnu Barua and eminent cinematographer Santosh Sivan withdrawing their names from FTII society another renowned Bollywood actress and TV star Pallavi Joshi has resigned as member of the Film and Television Institute of India (FTII) Society. 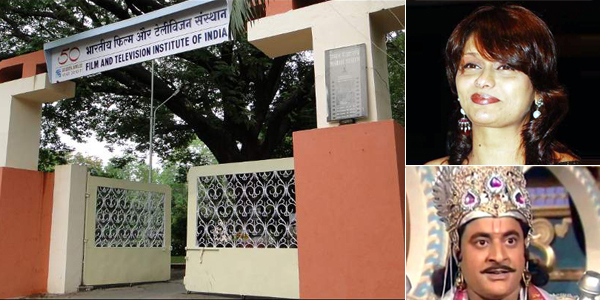 In a letter to the secretary of I&B Ministry Pallavi Joshi has urged, “I do not want to be part of the FTII society after this cloud of negativity because it is useless to be on the society or in the governing council if the students are unhappy and dissatisfied?" It may be noted that agitation which entered 25th day of its strike is primarily over the appointment of small time actor TV actor Gajendra Chauhan, whose only passport to popularity is his role as Yudhisthira on TV epic Mahabharata. Meanwhile the government instead on removing Gajendra Chauhan has threatened to shut down the premium institution!!! Wah Kya Insaaf hai….!! !